Mother’s Day is Sunday, and I have one more card to share. If you are a procrastinating crafter in need of ideas, maybe this colorful card will inspire you. 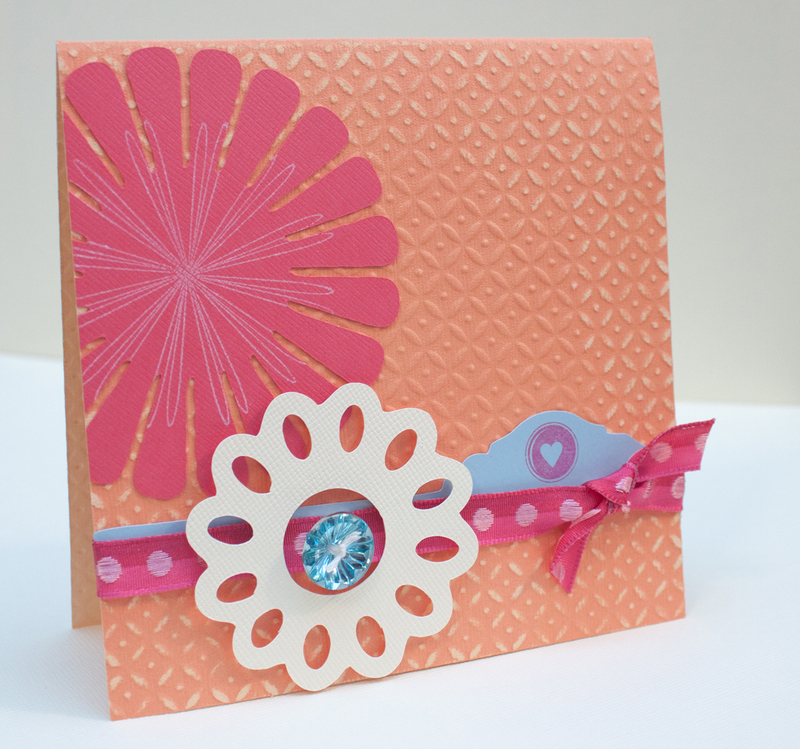 The base of this card is made with Bazzill Basics two-tone cardstock. Sanding or filing away the raised pattern reveals the color underneath. Very fine sandpaper works for this, or a file set, if you have one. I recently bought a Basic Grey precision file set and couldn’t wait to try it out. I used my trusty Making Memories Slice Elite to die-cut two flower shapes and a decorative tab. And I actually sewed the button onto the ribbon. I usually cheat and tie the string on the button and attach it using a glue dot. I didn’t think that would adhere well to the ribbon, though. Click on the “e-booklet” below for a tutorial. Happy Mother’s Day! This entry was posted in Mother's Day, Spring and tagged filing, flowers, Making Memories Slice, sewing. Bookmark the permalink. Great card and fun inspiration! what a sweet sweet card. This is so nice! Great colors and LOVE the shapes.